Each month, Insight Online will bring you great products from the RNIB Online Shop you will want for your class. 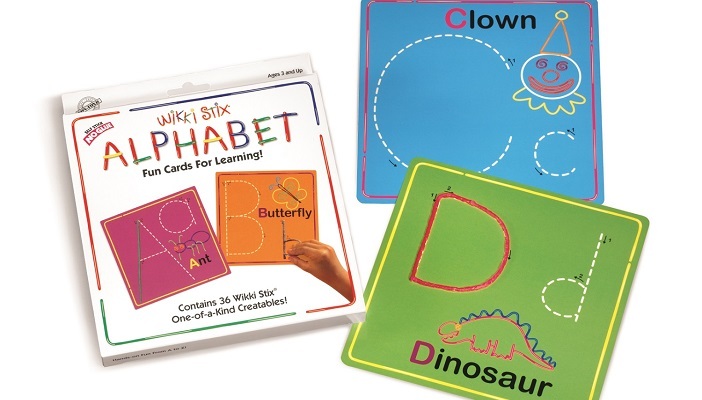 This pack aims to educate children about the formation of letters. It includes cards with a letter per card and 36 Wikki Stix. Made from food-grade wax and a strand of knitting yarn these Wikki Stix can be twisted, bent or pressed together again and again on the cards following the dashed lines, without the need for adhesives. If you're finished playing with the cards, children can be even more creative! Build shapes, models or simple tactile diagrams with the fun and easy-to-use Wikki Stix; stick them with just fingertip pressure to each other and see what can be made. With the advantage of being mistake proof, you can build self-esteem; just peel them off and start again. Wikki Stix have no wires or sharp parts; they never crumble, dry out, melt, stain, pull apart or break, and being non-toxic with no traces of latex, gluten, or any nut oils and by-products that could be harmful, these are safe and durable to use. The RNIB Online Shop sells over 700 practical products to help blind and partially sighted people maintain their independence and keep doing the things they love.